One of the major reasons to take a consolidation loan will be spiraling interest costs from other debts. 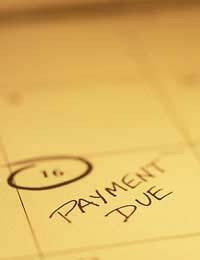 Multiple debts equal multiple interest fees, and multiple charges for missed and late payments. Using a consolidation loan can leave your bank balance a lot healthier and alleviate a lot of stress. Consolidation loans are a way of placing all your debts from other loans and credit cards into one large loan. By doing this you will cut all of the interest payments from your various debts and you will only have one monthly payment to make. The interest rate of the consolidation loan should ideally be low, and you should comfortably be able to afford the repayments on the new loan. Deciding when to use consolidation loans sometimes doesn’t take a lot of thought. It may be that your debts and the repayments and the interest payments are spiraling out of control. If you find that a large amount of you salary is being paid out on debt every month then the time may be right to consider a consolidation loan. If the problem is too much debt then do not leave the consolidation loan option too late. If missed and late payments are being recorded on your credit reference then it may be hard to find a consolidation loan with low annual percentage rates. High interest rate consolidation loans may be the only option if credit ratings are poor, but even then it may still work out cheaper than multiple interest payments to various debts. Less penalties and charges than would occur with missed and late payment to multiple debts. The loan holder should know exactly how much they will be paying over the cost of the loan term. No more phone calls or letters from creditors. The loan holder will know exactly how long the loan will last. One direct debit per month to pay the loan. Consolidation companies can contact lenders and arrange all repayments from the consolidation loan. Consolidation loans are available from a number of venues including banks and buildings societies, online lenders and specialist consolidation companies. Lenders will have varied annual percentage rates, so it is in the best interest of the customer to shop around using online comparison sites. There are specialised consolidation companies who will arrange everything for the customer; right down to dealing with present creditors. Always be wary of consolidation companies that charge high arrangement fees on loans; these companies are usually only interested in making a sale and not interested in giving the applicant the best annual percentage rate and they will also take a sales commission. If you are taking out a consolidation loan then make sure you actually do pay your original creditors and close down the accounts. There is no point taking out this type of loan if you are going to continue to use credit cards as you did before. By doing this you will only end up deeper in debt and paying extra interest. Multiple accounts and missed payments will be recorded by credit rating agencies and will hinder future borrowing. A consolidation loan is not a decision that should be taken lightly. You will no doubt be taking on a very large loan and making repayments for a considerable amount of time. But if the choice is between multiple payments with high interest or one monthly fixed payment at a lower interest rate then the latter scenario will always be the best option.